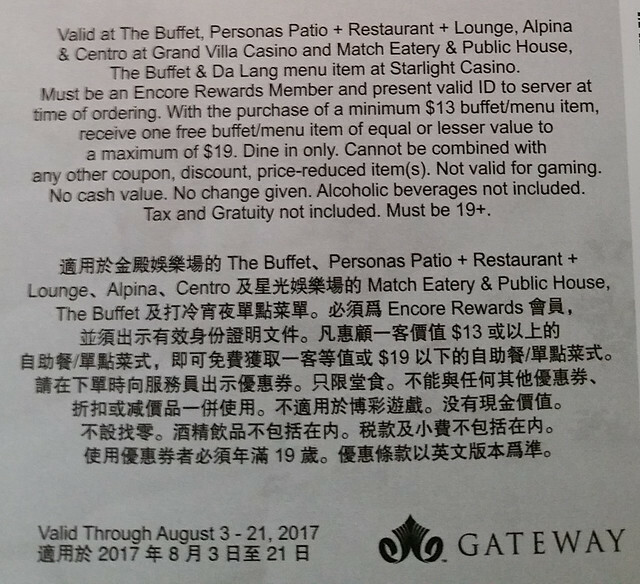 You may have gotten 2-for-1 buffet coupons in the mail from Gateway Casinos, good for either the Grand Villa in Burnaby or Starlight in New Westminster. The mailout I received had three coupons for three different periods between July and August. 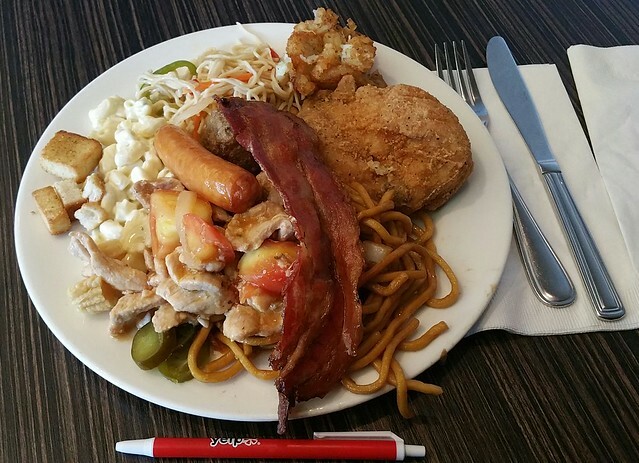 If you can eat a heaping plate (or skip breakfast and dinner), then the lunch buffet is for you. Two can dine for $13 ($13.65 after GST) -- that's less than $7 each. Go easy on the portions, especially if one of the hot items are running out because they'll restock with freshly cooked ones soon. 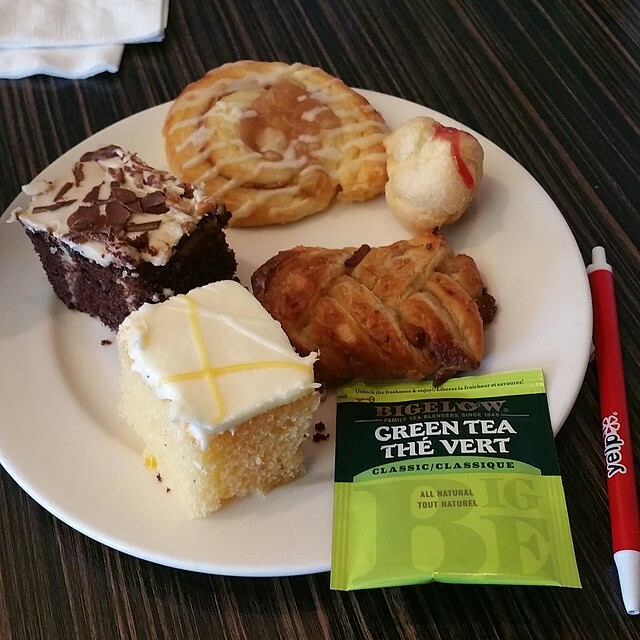 Desserts are usually lame and have sat around too long -- probably because people over-eat on mains. This said, if OK food for a great price appeals, then those two-for-one coupons are gold. And to be honest, fancier food at many places at a higher price isn't that much better. Considering you can eat three meals in one, $7 per person is a super deal (or if you need to save money for gambling, even $13 for your one super-stuffed meal per day is not bad). For the lunch buffet, they have a small mix of Asian and Western food (sticky rice and fried chicken, for example) and even some breakfast items like oatmeal and yogurt. Remember you are here for bulk food that is not badly cooked. If you can't eat like a champ, go to a hole-in-the-wall Chinese restaurant for cheap chow mein instead.